1 How Do You Surf Fish? 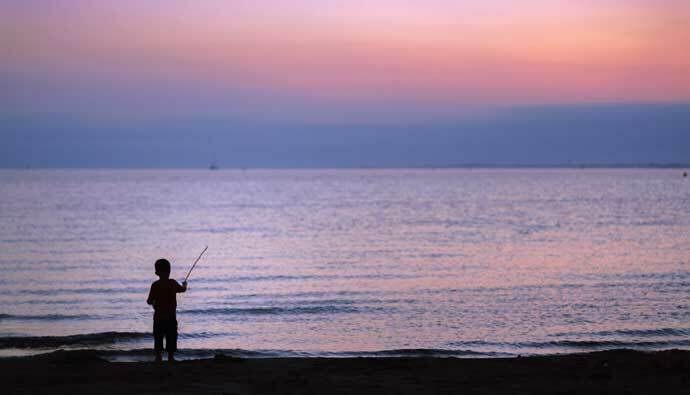 3 How to Care For Your Surf Fishing Rod? My Uncle Mike used to take me surf fishing as a kid down at Torrey Pines in San Diego. From the blur that remains from that time decades ago, one this is certain…it was a blast! The best surf fishing rods is one that gets your bait or lures out to where the fish are ready to bite! Before you jump ahead and buy a rod, it’s good to know a bit more about surf fishing so you can make a sound decision. How Do You Surf Fish? Short casting is also called inshore fishing by a lot of people, even though we usually think of that as being something done out of a boat. A lot of the same rods and reels work on the beach and its kind of interchangeable. We don’t want to cast into a long wave (a surfing wave) because those waves create a long profile that doesn’t create a gutter. That wave is coming into shallower and shallower water and creates a good surfing wave, but not one to find fish in. There are exceptions in places like Hawaii that have coral, but for a standard beach break, these aren’t the waves to target. Coral can be a nightmare to fish if after you hook the fish it runs into the coral pockets and prevents you from freeing your line. Generally, your best break is when you can’t see a wave then all of a sudden you see a small one-foot wave crash. Usually, there is a trough right there and you have fish three or so feet from shore. Where the wave crashes is where your trough is. It’s behind the actual breaking wave. Therefore, don’t cast to the long waves, cast to the short ones. Refer to Richtrox’s material and you’ll see what I mean. If you don’t know how to read the beach, then fan-casting will be useful. It’s better than nothing, right? Also, look for working birds and bait nearshore. It happens more often than you’ll realize. Look for discolored water or sand based bait when you’re walking around. Are you seeing a bunch of sand crabs? If you’re on the west coast, are you seeing sand crabs or anything like that? Those fish will be eating those baits close to shore, so look at your feet while you’re walking. It’s never too early to start the next generation caring about catching fish and taking care of the environment. For getting started in surf fishing, it’s generally recommended that you start with a shorter rod and have fun fishing where the water is close to breaking on you. You’ll get more casts throughout the session and you’ll probably catch a few smaller fish. After you get comfortable with the shorter rod, you can slowly make your way up to the long surf rods and go after the big fish. These types of rods tend to have a steeper learning curve for casting, but once you master it, there’s nothing like having a huge bait way out past the breakers while you wait for a tarpon or shark. Fan casting is a great way to cover a lot of ground while surf fishing. Cast straight, cast to the right, cast to the left at various angles and try to cover the largest amount of surface area as possible until you catch a fish. The theory here is that a fish won’t bite your bait if it’s never presented the opportunity. So rather than cast and wait, you are trying to drag the bait or lure (spoon lures work well for this) in front of them hoping they will bite. Smaller soft mouth species and schoolie stripers may benefit from a softer tip, not necessarily a slower rod, but a softer tip. They can still be a very, very fast rod. In the UK where this is an art, a lot of the best rods have a glass tip. If you look at Zziplex and you see all the GTs, those are glass rods. Century does the same thing. You have better bite detection and you’re less likely to yank a lure if you’re casting lures out of the mouth of the fish. Also, stripers tend to like to carry and if we hammer them quick with a fast rod…this can be a problem, but that soft tip seems to help. A rod for this task will be one that is shorter and responsive so you can cast it out many times per hour. Since you don’t need to get your bait far out, a 7 to 9-foot rod will have more than enough length to give you the whip to get it out far. The medium to medium-light power will give you a nice flex in your rod and not be too stiff to make it hard to cast. The fast action will allow the tip to bend and give you the feel to set the hook when you feel the bite. I’m sure you’ve seen some anglers at the beach and they are standing next to a massive fishing rods that looks more like an antenna than a normal rod. 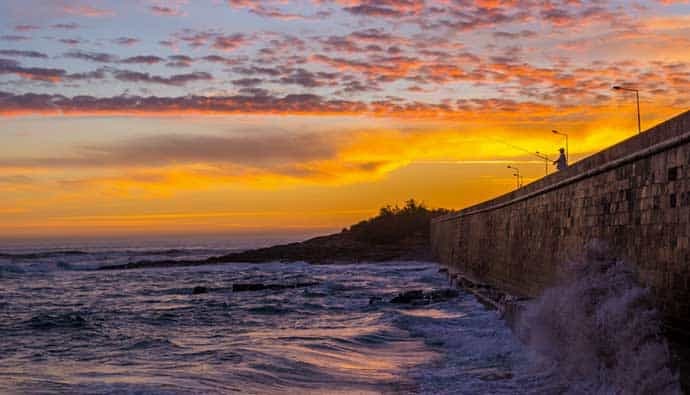 Some jetty situations call for shorter rods to manage on riprap, so there are a lot of places on the west coast where they’ve got riprap and a channel and it really depends on where the fish are in terms of length. If you’re in a channel clean ground, for example, North Jetty in Eureka, you need to be able to cast long if you want to catch some of the species that are out there over the clean ground. However, if you’re casting some of the rockfish that are right there, shoot, you might as well use a shorter rod that you can manage without being killed by falling off the riprap. It’s a little easier to manage and land fish, so reaching them is the first thing. Of course, if you’ve got to use a long rod in those kinds of places, bring a friend and bring a net or a gaff. That’s a good bit of advice there. Not all rods are created equal. It’s helpful to know the different aspects of a rod so you can make an informed decision on which one is right for your target fish and local environment. After you determine the brand you like, you’ll need to figure out what length rod you need for your situation. For a surf rod, you’ll need to decide if you’re going to be surfing from shore casting regularly, if you’re going to be on a jetty, or if you’re a beach banger throwing out the long cast. The length of surf fishing rod you choose depends on where you plan to use it. Rod sizes will range from 7 to 15 feet. 7 – 9 feet will be great for fan casting in the surf to catch small to medium size fish, rays, and sharks. 9 – 12 feet will work for pretty much all surf fishing conditions from fan casting, jettys, and even throwing out the long cast. 12 – 15 feet is only for long casting. This is where you’ll be throwing your bait out as far as you can and hopefully land the monsters. What we really depend on is the line weight rating and the casting weight that the rod is designed to throw. There’s some latitude on that. The higher performance rods tend to be stiffer for a given weight. Either casting weight or line. If you deflect them, it takes more to bend them. But by then you know which rod works for you and you have the skills to make your own assessments. Generally using the manufacturer’s recommendation is the best way to go. 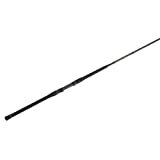 Surfcasting rod power is the amount of pressure you have to put on the rod to make it bend. It’s common to see manufacturers list the rod power from heavy to light. For a surf fisher, you’ll want to play in the medium-heavy to a medium-light range. Heavy power rods are better used on boats going after blue water fish and light power rods are better for more freshwater applications. Some manufacturers are starting to put power ratings from 1 – 5 where one is light power and five means heavy power. Some people think that faster rods are easier on the fisherman. That’s not true. Rods that bend are actually easier on the fishermen. Look at it this way, if you’ve got a very, very fast Century or Zziplex rod that’s in the 14 to 15-foot range and extremely stiff, that fish is pulling against a very, very, very long lever. Your hand is the fulcrum and it’s at the short end. The other thing is that bend is kind of a shock absorber fast. Fast rods do give more distance, due to tip speed. We want to call it tip speed not whip but they tax you and they require more refined technique. Moderate rods are usually better for most people. That kind of rod, that fast rod takes commitment. A lot of practice, the kind that most people aren’t going to going to use. In the UK and in Europe they talk about J-curve rods…they are very, very fast. C-curve rods are more parabolic and slow. The last third of the J-curve bends, the rod is stiff below that and doesn’t bend until you load it…it looks like a J in the bend. Something to note. A lot of records have been set and still stand on C-curve rods. The Italians were crushing with C-curve rods at the world championship recently and I think they took two out of three spots on the podium. He’s guys are casting 260 to 270 meters to win. It all comes down to speed and timing though, and speed and timing on fast rods. Once again, practice, practice, practice, probably lessons too. Don’t let distance of a cast be the final determining factor. If you’re going after bigger fish, then it might be worthwhile to have a shorter cast if it makes it easier for you to bring them in. Then you’ll want to opt for a moderate action rod. Faster does create a faster hook set, but setting the hook quickly sometimes is a double edge sword. Sometimes with soft mouth species, we literally rip the hook from their mouth. Sometimes we need to let the fish take the lure or hook for a few seconds to let them carry, for fish such as strippers. We need to let them carry it for a minute and suddenly whacking them with a, with a really, really stiff fast rod may actually be a problem, especially for an excited beginner. Once again, moderate is probably best for most beginners. Remember the rod is your tool for fishing and it should be working for you to its full potential. Which action is right for you? Boy, stiffer rods break especially with the higher graphite that we have today. The fifth generation graphites are amazingly stiff. They’re getting better, but at the onset of graphite, they were actually using a fiberglass scrim to give the rods hoop strength. They give the rod lift basically allow you to really pull something up. If you look at any old videos of Jack Alvey picking up Taylor, which are like a blue fish down in Australia, he’s, he’s pulling 10-15 pound fish out of the surf and swinging them under the rocks. Those are glass rods. The graphite is getting tougher and tougher. Hybrids for the purposes of our market are probably gonna be pretty expensive rods. A lot of the best fishing and match rods are Zziplex GTs, GT stands for glass tip. The other people that are making rods in that realm also build hybrid rods. Not all graphite is the same so make sure you go with a quality brand. To process graphite, it takes extremely hot ovens to form and shape the graphite to have its impressive strength. These ovens aren’t cheap and the process of great shops come at a premium. Just because a rod says it’s graphite doesn’t tell you much. Depending on how many layers of graphite sheet used between the resin could make for a quality rod or a piece of junk. If you want a rod to last for a long time, look for a brand that uses an ample amount of graphite material. You might have a little stiffer rod, but it won’t break on you either. Fiberglass is another type of material commonly used in fishing rods for decades. They tend to have a softer action while still being tough. If you’re going to be throwing a crankbait or just need a medium to slow action, then try out a fiberglass rod. Since graphite and fiberglass are sheets of material that get fused together with resin, a rod manufacturer can get creative in their layup of the materials. This allows for some novel types of actions and power profiles to be created. There have been some reasonably priced, hybrid rods in the United States, but they never seem to do well. People seem to think that glasses are a detriment and they’re just wrong. Sometimes glass makes a better fishing rod, especially in a hybrid situation. As you become more advanced in your angling and need something specific or maybe even a custom rod, think about researching hybrid layups. Fishing off of structures is fun because usually fish like to eat near them. Fuji and PackBay Minima are the dominant guides. Most surf casters don’t like lined guidance, in other words, no ceramic, none of that foolishness. We like stuff that’s tough because we break things. The wire guides like the Pack Bay Minima, which dominate a tournament casting by the are really, really, really tough. They’re just a wire guide. The Fuji KWAG is also highly prevalent and dominates the spinning reel game. Quality rods come with good guides in good reel seats. Something that is interesting, there are still people taping rods. You’d be amazed. You go to some tournaments and you’ll see taped up rods. The British and Europeans favor coasters, they move the reel up or down. Basically, they are a hose clamp that has a knob on it and allows you to move the reel around. Part of the reason for that is a lot of those guys casts with reel in a low position, like a fly rod. They make the cast and then they want to slide the reel up. I’ve never seen on a surf rod. I’ve seen them on rods where guys are fishing from the beach for big sharks and whatnot. I’m surprised I haven’t seen one where the guys were looking for sturgeon, but generally, most surf fishermen are not going to use those. The shark guys are mostly using kites to get their stuff out. The sturgeon guys are using a type of canon to shoot their bait out. They’re less than one percent of the market out there. Rod handles come in various lengths and materials depending on the application. Most are one inch in diameter and a lot of surf fishermen are using Japanese shrinkwrap on the end. If you’re going for fan casting on the beach or jetty, you’re probably going to use a shorter handle than the long casting rods. The materials used are usually between the cork and EVA foam. Both work well as they are easy to grip and tend to be light. Sometimes you’ll find a rod with both types of materials, it just comes down to personal preference. If you want, you can always regrip a rod to fit your liking. How to Care For Your Surf Fishing Rod? NEVER lean your rod against cars or use them as walking sticks. In the old days, we had lifetime warranties that they didn’t care. I mean, you could, you could tell him it broke when I throw it over my knee and gosh, what happened? And they’d send you a new one. And that’s not true anymore. They can analyze any break that comes to them. Experienced guys in the shops know exactly what they’re looking at, and cars are the number one culprit of broken rods in the market. That is the number one. Number two is stepping on them. Walking sticks on a high-end Rod. If you’ve got somebody that’s fishing a nice Breakaway or Carolina Cast Pro or Century or something and you scratch up that, but it will eventually fail there. So we just, we just don’t even want to do that. If you need a walking stick, buy one! Always rinse off your surf rod after each use to get the sand and salt off the material. If you want to be thorough then it’s important to disassemble your rod down to its parts and give it a good rinse as well. Don’t let your rods sit in standing water for too long. After you rinse them, put the pieces in a warm dry spot out of the sun and let them dry before putting them away in storage. What type of fish are you trying to catch? 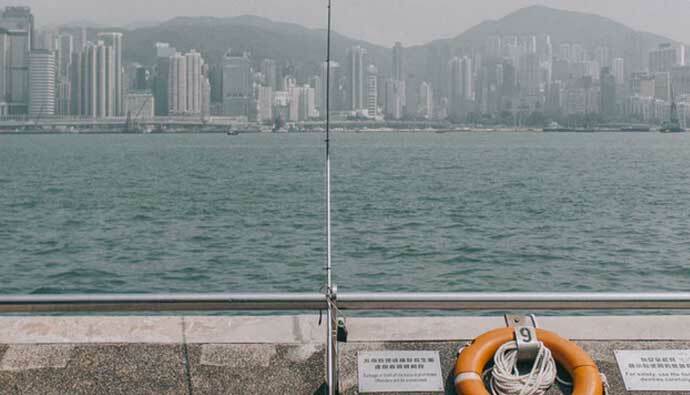 Do you want to fan cast from shore or jetty or do you want to do the long cast? What length do you feel comfortable casting? What type of reel are you using? This will dictate the type of rod you should get as well. Desired power and action do you want? What type of handle do you like better, cork or foam? Split grip or one piece grip. 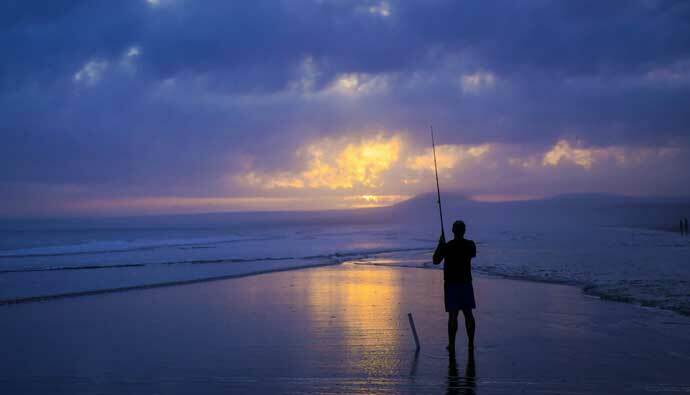 Should you get a short and a long rod so you can experience the full range of surf fishing? The warranty slays all. If you want a quality rod and a manufacturer that’s willing to back it up, then do yourself a favor and pick up this rod. If you’re someone who tends to break rods landing big fish or smashing them in car doors…you’ll rest at ease knowing that St. Croix has your back. Their Gold Star + Upgrade pretty much gets you a replacement rod if sh*t hits the fan. 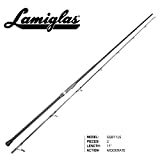 If you can’t get your hands on a Carolina Cast Pro or a Breakaway, then the Lamiglas GSB is the rod for you. It’s easy to get your hands on over at Tackle Direct and it’ll suit whatever you throw at it. It’s 100% made in the USA and they’ve been leading the charge for over 60 years. This is a capable rod and it’s not going to let you down. Just don’t expect many bells and whistles. It’s good for light surf or an enjoyable day on the jetty. If you grab the 9′ you’ll be able to load 0.5 to 2oz weights and cast it pretty far. Pick up the 11′ or 12′ and you’ll be slinging to the moon. If you’re looking for a new reel to come with your rod then pick up the Penn Battle 2 combo pack. I use the Penn Battle 2 and it’s an amazing reel. If you have a chance to play with it, even the clicking over of the line guard sounds like a well-made machine. Super smooth and worth every penny! If you’re just getting started than this might seem like an expensive first combo, however, it’s always better to spend a few more dollars up front instead of having to spend more for brand new later when the cheap one fails. If you’re looking for something under $100 that isn’t fancy and will give you a long life, then pick up an Ugly Stik. This rod will pull in the big ones and for this price, you can get a few different sizes and just swap out your reel depending on where you want to fish that day. Now that I’m entering my early thirties, I’ve found the love I had for it as a child. The perk about re-finding it is that I’m doing it because I want to and I now have the money to get some of my own gear instead of relying on the parents. As I popped open Google and started looking at what the best surf fishing rod would be, I was shocked by the sheer number of them out there. How would I know which is best? What are the metrics I should judge a rod? All of these questions needed to be answered otherwise I wouldn’t be able to enjoy my time out fishing knowing that my gear was sub-par. I started reaching out to my friends who surf fish often, started watching hours of YouTube videos, and browse forums. Here are the recommendations I found based on the different surf fishing scenarios out there. Whether you like to fan cast up and down the beach or take out the big rod and huck it out a mile, there are specific surf fishing rods up for the task. Some will break the bank and some are near free. I wanted to present you a few options to help you pick the surf rod that’s right for you. 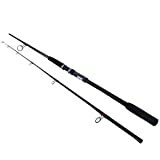 I hope you were able to find the best surf fishing rod for your needs. Let me know which you ended up getting in the comments below! Q: What length fishing rod? A: It depends on what you’re going after and what style you want to fish. If you want to cast more often then go shorter between 7 – 9 feet long and if you want to cast far go between 10 – 15 feet. Q: What is a surf rod? A: A surf rod is a rod that’s meant for fishing in the ocean usually from shore or a jetty. They tend to be longer than most other rods to allow you to cast far out. Q: What does rod action mean? A: Rod action is the amount of bend the rod will give you in especially within the first third near the tip. If you have a fast action, the rod will bend more than a medium or heavy action. Q: What do I need for surf fishing? A: We’ve put together a comprehensive surf fishing gear guide. Check it out so you know what you need to be successful at catching fish. Q: What is a medium action rod good for? A: Medium action is good for having the fishing rod take more of the force from the fish. If you find yourself going for large fish then a medium action will have you less tired at the end of the day than a fast action rod. You just might not be able to cast out as far, so that’s the trade-off. Q: What does rod power mean? A: Rod power is the amount of force necessary for the rod to bend. Q: What does medium heavy mean on a fishing rod? A: Medium-heavy on a fishing rod means that it’s just below heavy on the power scale. It will take a large fish to bend the rod significantly.